Organisations in the Greater Lincolnshire area have today (Friday September 4) submitted an expression of interest to the Government for ambitious plans to bring more local power and responsibility to the area. The proposal asks for a range of the central government’s powers and associated funding to be given directly to be devolved locally to set priorities and make spending decisions in order to improve quality of life and prospects for greater prosperity in Greater Lincolnshire. The organisations involved believe the services and programmes concerned would be run more efficiently and achieve better outcomes for Greater Lincolnshire residents than the present nationally-run arrangements deliver to the area. Each organisation would retain their current responsibilities and powers, but would work together to meet any new powers agreed with government. The proposal document invites the government to enter into discussions about these additional powers and the arrangements that would be necessary to operate them. Ursula Lidbetter MBE DL, Chair of the Greater Lincolnshire LEP, said: “I wholeheartedly support devolution of Central Government powers to Greater Lincolnshire. To achieve the ambitions of our Strategic Economic Plan, it’s imperative that Greater Lincolnshire have devolved accountability and budgets for the key levers of our economy. 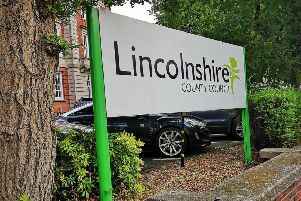 Leader of East Lindsey District Council, Councillor Craig Leyland, said: “Devolution provides an exciting and important opportunity for Greater Lincolnshire authorities to take a lead in tackling some of the big issues that affect the county. Leader of Boston Borough Council, Coun Peter Bedford, said: “This is hopefully a fantastic opportunity for Greater Lincolnshire. It brings together 10 equal partners from local government and others working in collaboration and not adversarial. It is a true partnership approach. “It is not about local government re-organisation it’s about exploiting opportunities and meeting challenges. It is not a binding process as the situation is fluid and subject to change. North Kesteven District Council Leader Coun Marion Brighton OBE, said: “I believe the prospect of devolution of decision making powers and central government funding offers a significant opportunity for the Greater Lincolnshire area. Devolution will help us to make a difference in many areas, most significantly in relation to economic growth, housing, health and social care. “At this stage, our proposals represent an expression of interest for the government to consider. No firm decisions have been taken and all partners will have the opportunity to review detailed proposals in due course. The new Secretary of State for Communities and Local Government, Greg Clark, has made it clear that he is supportive of devolving powers currently held by central government to local areas. Areas such as Greater Manchester and Cornwall have already been successful in their approach to government for devolved powers, and locally Nottingham, Derby, Leicester and Sheffield are all talking to government.